According to a recent article in the Bay Citizen, the East Bay area’s foreclosure crisis hasn’t let up. In a new survey released by the realty service DataQuick found that just in the first quarter of 2011 6,437 East Bay homes were sent into foreclosure. This shows an increase from the same period last year. That’s certainly not good news for those unfortunate homeowners. However, there could be a silver lining in those foreclosures as savvy real estate investors come on board for some potentially lucrative deals. A looming foreclosure market is actually good for buyers. Of course, to be profitable in this arena those homes need to get back into shape and become market ready. If you’re getting into this game then you should be looking for a reputable East Bay foreclosure clean out company like Junk King to help your real estate business. Just because a home has been slapped with a foreclosure label doesn’t always mean it is in distress. But chances are that foreclosed home is going to need a top to bottom cleaning. If a former homeowner has been forcibly asked to leave they really aren’t going to care what they leave behind. In some cases, these folks might literally toss the key over their shoulder and never look back. This could mean they have left behind all kinds of furniture and garbage. All of that has to be hauled away. Then there is the issue of the kitchen. If the power has been shut off, then the fridge has turned into a storage locker for all kinds of “science experiments.” It might be easier to just wrap up that fridge and haul it away “lock, stock and barrel!” And don’t forget you’ll have all the kitchen cabinets and drawers to contend with. All of that will need to be cleaned out before you can even think about posting a “for sale” sign on the front lawn. In one respect, a foreclosure clean out is a simple job to accomplish provided you’ve got the right crew on your side. There won’t be an issue of what needs to be kept because everything is going to be tossed out. All the furniture, rugs, drapes, carpet and garbage can be carried right from the home into the truck. That means you just have to make sure that your clean-up crew has a big enough truck to handle the job. Once all the junk has been removed from the home then it’s time to start scrubbing, sweeping and moping. You might be considering a new paint job to help spruce up the foreclosed home or you can just settle for a deep cleaning. Unless you’re going for all white walls, it might be better to leave the new paint job for the new owners; you just want to make sure the walls are clean! Depending on the scope of the job, it might take one or two days before you’re ready to show the home. 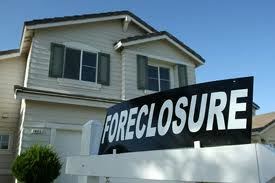 At least with a professional foreclosure clean out all you have to worry about it lining up the potential buyers! For the best in East Bay Foreclosure clean outs simply call Junk King Alameda at 1-888-888-JUNK or book a free on site estimate online. This entry was posted in East Bay Junk Removal, Foreclosure Clean Out, Foreclosure Services, oakland junk removal and tagged Alameda Foreclosure Clean Out, Bay Citizen, East Bay Foreclosure Clean Out, Foreclosure Clean Up, Foreclosure Services, Oakland foreclosure Clean out on May 17, 2011 by Junk King. Last updated August 4, 2017 .